Soil Health Nexus > Blog > Manure > What is the Economic Value of Manure? Manure has value. That value may result from improvements in soil quality, increases in yield, and replacement of commercial nutrient required for crop production. Previous articles on manure’s value have focused on its soil health, environmental benefits, and tools for estimating manure’s value. This article will focus on the economic benefits of manure. Manure is a supplemental source of P, organic-N, ammonium-N, and micro-nutrients commonly required by many fields. 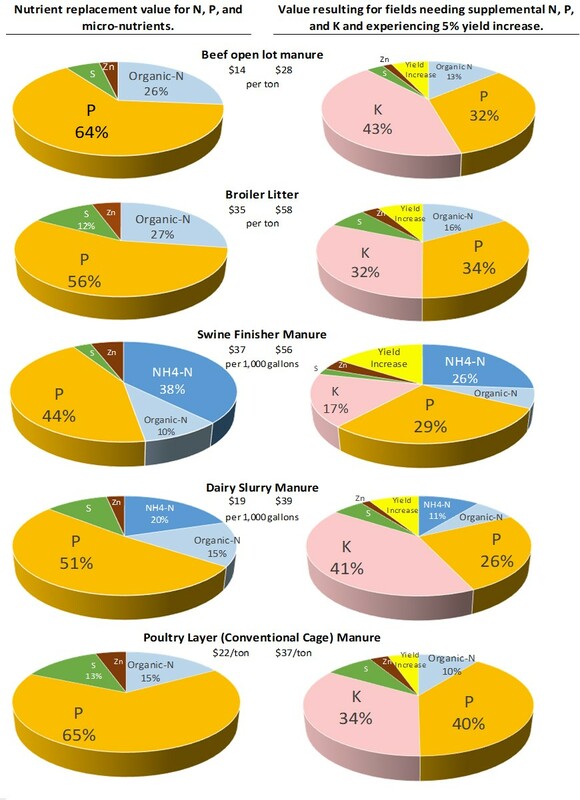 Cropland receiving surface applied manure (not incorporated) benefits from both the organic-N and P. The value of the nutrients in beef feedlot manure is heavily influenced by the value of the P and to a lesser extent the organic-N (see Figure 1 and assumptions for all figures presented. All assumptions are found at end of article ([i]). Because feedlot manures and many solid manures contains little ammonium-N, incorporation to conserve N would produce little additional value. Similar graphics for other animal species are found in Figure 4. Figure 2: The nutrient replacement value of swine finisher manure is approximately $37/1,000 gallons* when injected. *This assumes supplemental K is not needed and no yield increase results. Additional assumptions found at the end of this article. 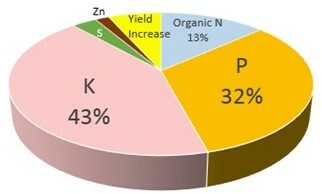 Figure 3: Value of beef open lot manure assuming crop benefits from potassium supplementation and 5% increase in yield. Estimated manure value is $28/ton. [i] Assumptions for graphs: Price of nutrients was assumed to be $0.35/lb. N, $0.40/lb. P2O5, $0.35/lb. K­2O, $0.35/lb. sulfur, $2.90/lb. 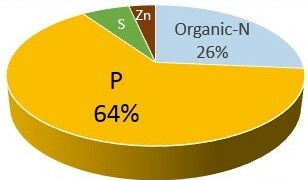 zinc. For some figures a yield increase of 5% was assumed and allocated to a manure application rate designed to meet 75% of N requirement of a 200 bushel/acre corn crop (e.g. 19 ton of feedlot manure/acre). Corn was valued at $3.50/bushel. 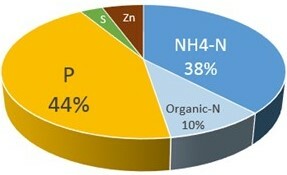 [ii] How Does Recycling of Livestock Manure in Agroecosystems Affect Crop Productivity, Reactive Nitrogen Losses, and Soil Carbon Balance? Environ. Sci. Technol. , 2017, 51 (13), pp 7450–7457.